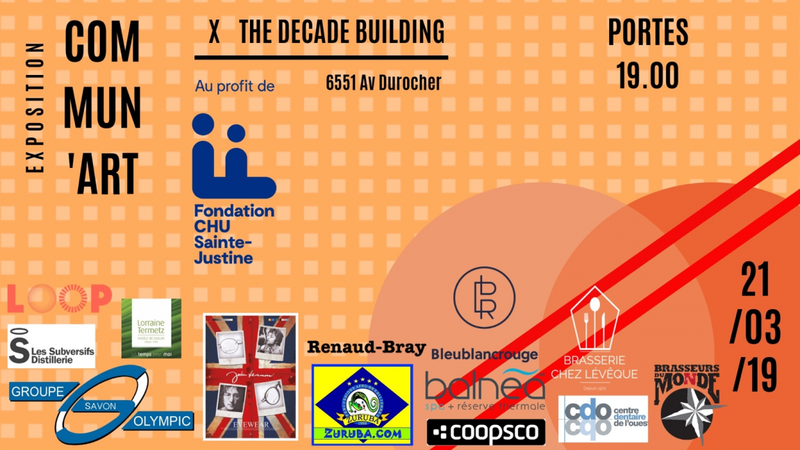 For more information about this event, please contact Collectif Commun'Art at expocommunart@gmail.com. Collectif Commun’Art is a Quebec based NPO that organizes an annual art exhibition that promotes young artists' talent. This exhibition of photography, digital art, sculpture, poetry and paintings is a silent auction who collects funds for Espace Transition (Etpsy.ca), the art therapy program of CHU Hospital.